If you are planning on moving from Pay Monthly or Pay as You Go to a SIM Only contract on the same network, your service provider should be able to transfer you to the SIM Only contract without you needing to replace your current SIM card. However, if you're moving to a new provider, you'll have to replace your phone's current SIM card. The contract states how many calls and text messages you can make and send in a given month, as well as how much mobile data you have available to you, for internet access on your phone and mobile apps use. You'll typically be charged a flat fee for your SIM Only service once a month, with this fee only increasing if you go above your predefined usage quota. Keep in mind that certain providers - notably EE, O2, and Three - now increase the price of your monthly tariff mid-contract in line with inflation. SIM Only contracts typically last between one and eighteen months, with the shorter contract options providing flexibility and the longer ones some better tariff deals. Longer contracts (twelve or eighteen months, for example) will give you access to better value SIM Only deals, as the service providers are more likely to give you more mobile phone minutes, text messages, and data for your money in exchange for a longer commitment. Shorter, one month contracts are ideal for anyone who wants a minimum level of commitment. This can suit a number of circumstances: for example, if you're only staying in a certain place for a short amount of time; if you've come to the end of your current mobile phone contract and are waiting until a new phone to be released. You can also use the shorter contracts to test a number of networks for one month of SIM Only usage, to get an idea of different providers' signal quality and packages. Why should I get a SIM Only contract? They're much cheaper than traditional mobile phone contracts  unlike a traditional contract in which you get a brand new mobile handset as part of the deal, and can update it later, with a SIM Only contract you don't pay a premium to cover the cost of the phone on top of the package tariff. You don't have to commit to a long contract, if you prefer to be flexible. Generally, SIM Only deals tend to be shorter than handset and tariff deals. If you already have a phone that you love and want to keep, SIM Only allows that. You can find the best SIM Only plans to suit your actual usage needs: typically more is included in SIM Only packages than in PAYG packages of the same cost. They come with no phone, meaning you need to be happy to continue using your current handset, or if you want a new one you will have to buy it independently (which can be expensive). You'll still need to pass a credit check (as you do for a traditional mobile contract), though the SIM Only credit check may be easier to pass because of the lower cost of SIM Only deals, making you a lower-risk candidate in the eyes of the mobile phone company. Keep in mind that, as with traditional mobile phone contracts, getting the cheapest SIM Only deals may require taking on a longer contract, as the longer you can commit to staying with a particular mobile phone company the more they'll be willing to offer you, and at a cheaper price. If you think a SIM Only contract is for you, the first thing you'll need to do is to compare SIM Only deals and find the best available for your needs. Check everything: from the amount of minutes, text messages, and mobile data you'll receive, to what contract lengths are available to you, and at what price. EE, including Orange and T-Mobile, will unlock all of their phones, whether you're on a traditional contract or PAYG, for £8.99. O2 will unlock your phone for free if you're on a traditional pay monthly contract (business customers can also have their phones unlocked for free, on a unit by unit basis), or if you're a PAYG customer they'll charge you just £15.00. In both instances, the process will take up to ten working days. Vodafone will unlock all phones on a traditional, Pay Monthly contract so long as it's three months into the contract, for a cost of £19.99, and the unlocking process takes 7-10 days. PAYG customers must wait thirty days to have their phone unlocked, and the same price and process time apply. Note: Pay Monthly customers can have their phone unlocked for free if they've had their contract for more than a year. Three have issued unlocked mobile phones since 1 January 2014. If you received your phone from Three before this date, they'll unlock it for you for free. Virgin Mobile have been selling unlocked phones since July 2012. If you've had your phone since before this date they will unlock it for you for £15.32 in just a few hours. Unlike the four companies mentioned above, you'll have to contact Virgin Mobile directly as they don't have an unlocking-specific online form. Tesco Mobile unlock all customer phones for £20.00 if the phone's been activated (or the contract has run) for less than a year. After a year, Tesco Mobile will unlock all phones for free, though it takes up to 28 days. As with Virgin Mobile, you'll have to contact Tesco Mobile by phone. Alternatively, you can use unlocking services on eBay and other independent vendors, which tend to be cheaper than official channels, but you will need to do your homework to make sure that they have a good reputation. Giffgaff provides a comprehensive list of phone unlocking services - Unlocks and Mobile Unlocked are the highest rated of these services and others, such as Unlockbase, provide unlock codes or cable software for a wide variety of handsets. If you want to keep your current phone number once you've moved to a SIM Only mobile phone contract, you'll have to port your number to a new network by getting in touch with your current phone company to request a PAC (Port Authorisation Code). When you have your PAC, contact your new phone company and give them the code, making sure to do this in thirty days otherwise the code will expire. On the day that your old phone number is transferred to your new SIM you will lose your service for a short period of time while the new provider comes online. For this reason, it's a good idea to turn your phone off completely during this period while you wait for service to be resumed. 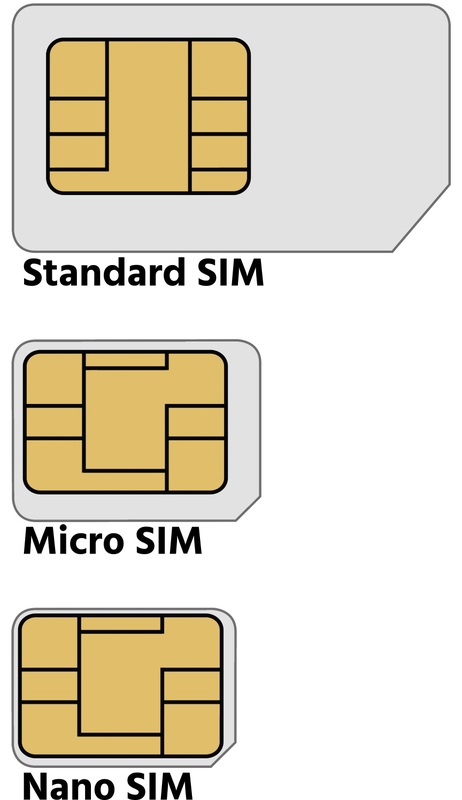 Standard-size SIM cards are generally used for older phones, while the iPhone 4, 4S, and most Android and Windows Phones use a Micro SIM. The iPhone 5, 5c, 5s, 6, and 6 Plus all take a Nano SIM, as do some of the latest HTC models, such as the HTC One M8 and M9. Some providers issue a 'Multi-SIM' card, which can be easily adapted to fit any SIM card slot. Every day, we search through thousands of tariffs and offers from UK online retailers to find the best SIM Only deals and contracts across a selection of price points and needs. Finding the perfect deal is easy. Just use the sliders to filter tariffs for minutes, data and monthly cost. You can also filter by network and retailer to find the best deal for you! The cheapest contract price in this category is cheaper than buying the SIM Only SIM Free and a comparable SIM Only tariff by . You could save on the cheapest contract price in this category by buying the SIM Only SIM Free and a comparable SIM Only tariff separately.